Relatively speaking. 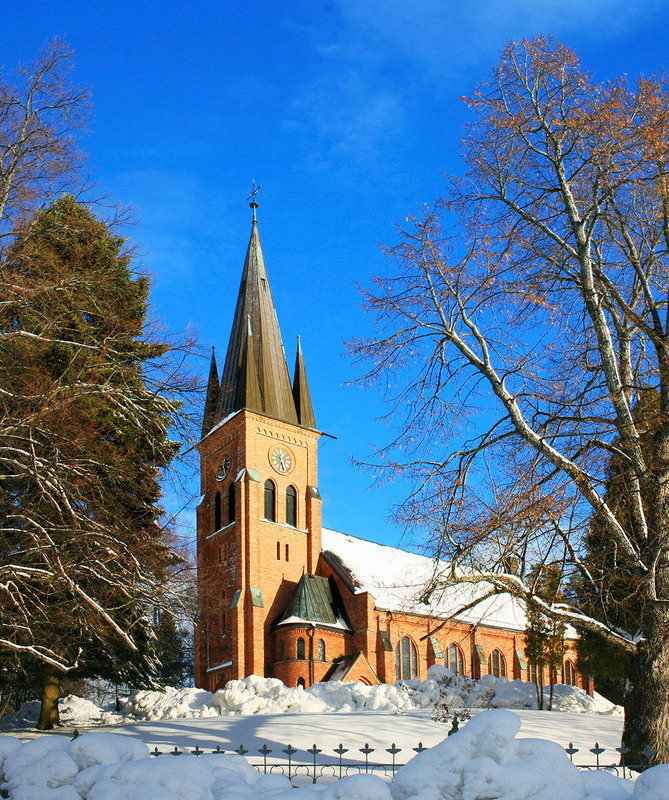 Between 1861 and 1862, a new wooden church was built to replace the smaller medieval stone church. It was inaugurated on October 4th 1863. A fire in June of 1888 destroyed it. Construction was started in 1893 of a new building on the site of the old. Designed by Ferdinand Boberg, it was made of brick in Gothic Revival style. November 29th, 1896 it was inaugurated by Bishop Martin Johansson. The baptismal font is made of pine and spruce dating from the 1100’s and is still in use. The font’s embellishments show the struggle between the Norse and Christian faiths.